Thousands of Newton Mail fans were let down when CloudMagic decided to discontinue the app. CloudMagic removed the app during the summer and issued partial refunds for the popular premium email client. Newton’s user when to other popular email client but a lot of them still aren’t satisfied with any of the current Newton competitors. And I know because I am one of them. Well, this past December Essential the company run by the creator of Android and Essential Phone Andy Rubin acquired CloudMagic assets and the team started the work to bring the popular app back. As of today February 5th, Newton Mails is back on the App Store and Mac App Store. The app still a premium app with an annual subscription cost of $49.99. Totally worth it for power users, just the mail receipt feature is worth it to me. Should You Jump Back In? Definitely the app still great the price is actually a drop from the latest price before it was shut down when it sat at $99 annually. Well, this past December Essential the company run by the co-creator of the iPod and Essential Phone Andy Rubin acquired CloudMagic assets and the team started the work to bring the popular app back. Plus you can still log in to your past account. Quick question how many pairs of headphones do you own? I bet the answer is not enough. 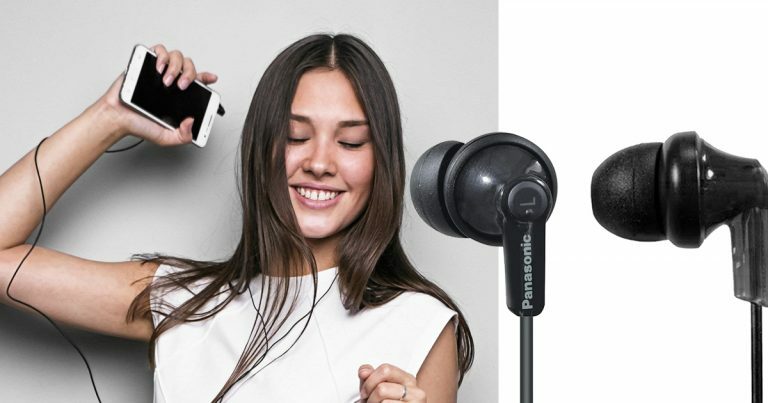 Well if you are in a need of an extra pair we are giving a couple of *Panasonic ErgoFit In-Ear Earbud Headphones RP-HJE120-K (Black) Dynamic Crystal Clear Sound, Ergonomic Comfort-Fit away to a couple of lucky winners. The best part there is nothing to sing up, buy, rate etc this is a simple straight forward giveaway. To enter simple click the button below then tap on the bouncing giveaway box. You will know instatly if you won. Only one entry per household. If you need some free streaming music to go with your new headphones give Amazon Music Unlimited a try with a FREE 30-Days Trial. Omarcast.com has paid for all prizes, sales tax, and shipping. Entry requires an Amazon.com account. Amazon will ship prizes to winners. Your account information is not shared with Omarcast.com, except winners' names may be made public. Amazon is not a sponsor of this promotion. NO PURCHASE NECESSARY. Must be 18+. Every 500th eligible entry will win, up to 2 winners. This giveaway started Jan 27, 2019 5:59 PM PST and ends the earlier of Feb 3, 2019 11:59 PM PST or when all prizes have been awarded. A good Macro lens is a must have for every photographer. A good macro lens will open a new world of amazing shots but it will also work as a day to day lens. Here are a list of eight great macro lenses. This are highly rated lenses with superb picture quality and performance. While some manufacturers offer more than one macro lens I will focus on the best one. Must have for any Canon shooter. The canon EF 100mm f2.8L IS USM Macro lens is a bit of a monster to be honest. Like most other Canon L series lenses, this lens comes in a little bit heavier than standard EF or EF-S lenses. This is due in part to the excellent build quality (and whether sealing) and also in part to the inclusion of Image stabilization. Controls on this lens are fairly standard across Canon's series of lenses, you have a range selector switch, AF/MF switch and an image stabilization On/Off switch. Since this is a prime, there obviously isn't a zoom ring, just a focusing ring, which is nice and wide and has a very smooth motion to it. The Canon 100mm Macro lens is really a multi purpose lens. Although it's main use is for macro photography, you can very readily use this as a portrait lens on a full frame body (on a crop sensor this will be a 160mm lens which is a bit long for portrait photography) with excellent results. For the most part when shooting macro, you would want to shoot on a tripod with rail system and good lighting however since owning this lens I've found the amount of times that I've been out wandering around and happened across something that I wanted to shoot and didn't have my tripod with me to be a lot more than I expected. This is where the image stabilization on this lens comes into play. I've found that with the IS you get around a 2 stop advantage. It also makes taking macro shots by hand actually possible. To get really close shots you can pair this lens with extension tubes. Extension tubes don't have any glass in them and simply create more of a distance from the back of your lens to the actual camera sensor. This effectively "zooms" you in further. Image quality from this lens is phenomenal. Very sharp images with wonderfully creamy bokeh produced by it's 15 elements. This lens creates the best bokeh I have seen form a lens, including the lenses I own that stop down to f1.4. If you are looking for possibly one of the best macro lenses on the market. you won't be disappointed with this lens. If you are looking for a great portrait lens, you won't be disappointed with this lens and if you are looking for a macro lens that you can use without the need of a tripod, then this is definitely lens you want. Overall the Canon EF 100mm f2.8L IS USM Macro lens is a winner. I'm so glad I paid the extra for the L series and image stabilization. Totally worth it. Nikon Shooter this is the lens for you. This is a wonderful lens, it's like getting two for the price of one: a sharp portrait lens and a nice macro lens. There are certainly cheaper lenses that offer macro capability, but most of these lack the focal length necessary to shoot insects or other tiny subjects without having to get so close as to drive them away. This lens is just long enough (105mm, or really more like 160 if shooting on a DX mount as I am) to capture tiny scenes without disturbing them. That, and it is RAZOR sharp. This lens makes great use of VR. It's not a heavy lens, nor is it especially light. You can easily carry this lens around on your shoulder all day without a problem. 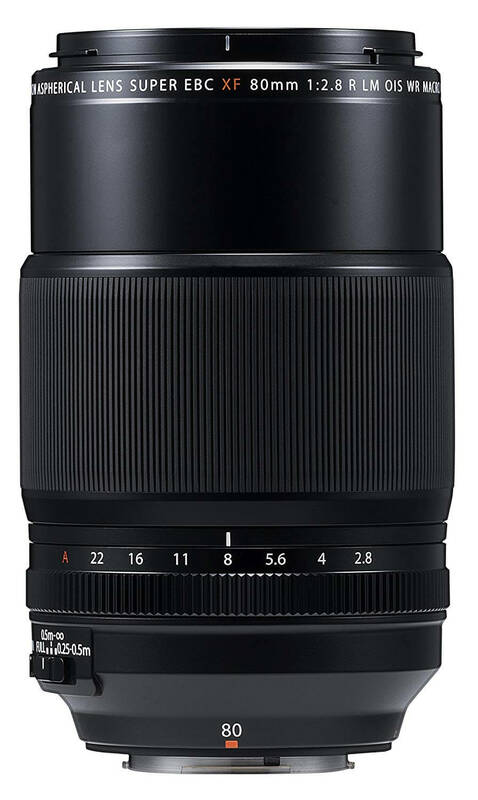 It doesn't quite have the strong, tank-like feel of other Nikon pro lenses (I would not feel comfortable dropping this lens onto a hard surface); it doesn't feel like the body is made of metal as much as it is composite plastic...which is ok, since it keeps the weight down. Considering the lens has a reach of 105mm at f/2.8, I think the weight of the lens is very acceptable. The must have weather sealed lens for Fujifilm X cameras. Finally, a real 1:1 Macro competitor from Fuji! It's ultra-sharp, and I love the 120mm equiv. in terms of workspace from the subject. The lens switch for 3 different focus ranges helps immensely with quick focus at macro ranges. This lens is absolutely spectacular. It's so incredibly sharp at all apertures. Wide open it does produce swirly cats eye bokeh, but once you stop down to f/5.6 the bokeh becomes smoother. Out of focus rendering is dreamy and rich. Colors and micro-contrast are excellent. It does hunt a bit in low light, but in good light the AF is super fast and smooth. The images rendering is stunning The lens is rather large, even larger than the XF90mm. But it's not cumbersome or ridiculously heavy. The OIS works flawlessly, and I can get razor sharp images at 1/20 shutter speed, which is a huge advantage over the XF90mm. I'm here to tell you that this lens is epic, and the IQ is second to none. Son shooter this is the Macro lens you need. This lens is amazing. The build quality and the feel of the lens is great. The sharpness of the lens is on point especially when attached to any of the Sony a7 models. It is definitely worth the price. The build quality, sharpness, built in steady shot switch, and auto/manual focus push/pull switch. The only thing I can think of is it can be a little heavy for a mirrorless lens which can off balance the Sony a7ii in some people's hands but its excepted for a 90mm f/2.8 with that build quality. 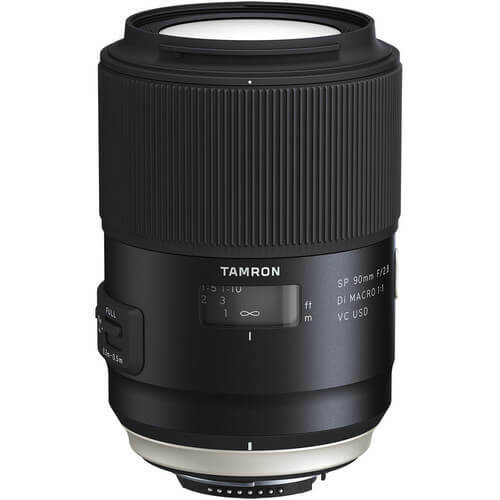 Canon, Nikon & Sony shooter look at this lens for awesome quality at a better price. This affordable lens for Canon and Nikon do not sacrifices on quality for price. By contrast if offers an amazing value. 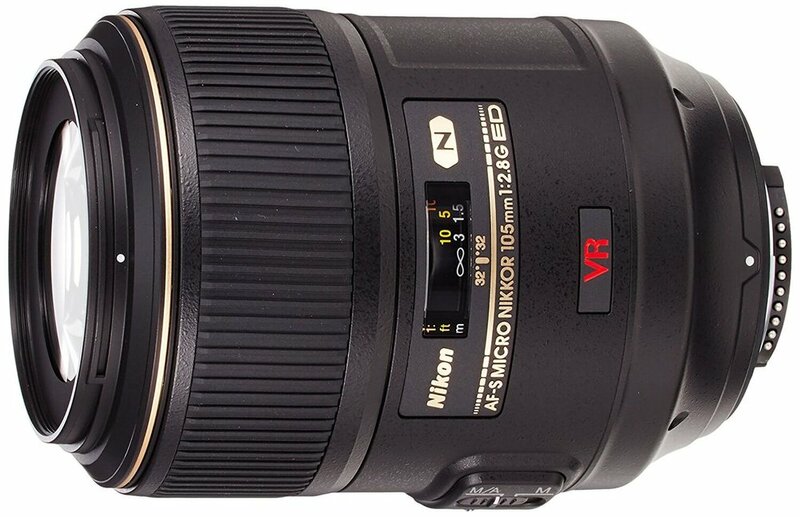 This lens is a must have for any photographer, pro or hobbyist, who not yet added a macro lens to their collection! The macro shots produced are breathtaking, with stunning details and sharpness. Same goes for portrait shots or just about anything else. Olympus & Panasonic this affordable lens is the perfect macro for you. In my experience the lens is sharp right from 2.8, with stopping down grabbing you a bit more. But the reality is its sharp right from jump. I've not noticed any particularly glaring defects or aberrations of any kind. The bokeh is good. The build quality is good, though it is a plastic lens (and I'm so glad, as metal would have been $300 more), and the weather sealing merely adds to an already fantastic presentation. With regards to the AF; while it can be slow at times, and I stand by my original statement, it should be noted that macro lenses generally focus slower than normal lenses, due to the increased focus range. In the category of macro lenses this lens is plenty fast. I merely think this is an area where there is still room for improvement. Canon M shooter this super affordable lens is great on any Canon M camera. Light macro lens featuring Image Stabilization for EOS M series digital cameras. Built-in Macro Lite which, when enabled, automatically supplies light to your photos as needed, helping to provide a better sense of depth and dimension. Autofocus lens capable of focusing at infinity in normal shooting and macro shooting with up to 1.2x magnification. Hybrid IS helps reduce camera shake for enjoyable handheld photography. Stepping motor (lead screw-type STM) helps provide smooth and quiet operation when taking photos, and near-silence when shooting videos. The EF-M 28mm Macro lens is probably the most interesting lens in the EOS-M Lineup. It's a very affordable, very compact "Super Macro" with an image stabilizer and built in LED lights. The lens itself is very lightweight and appears to be a light aluminum with a plastic mount. 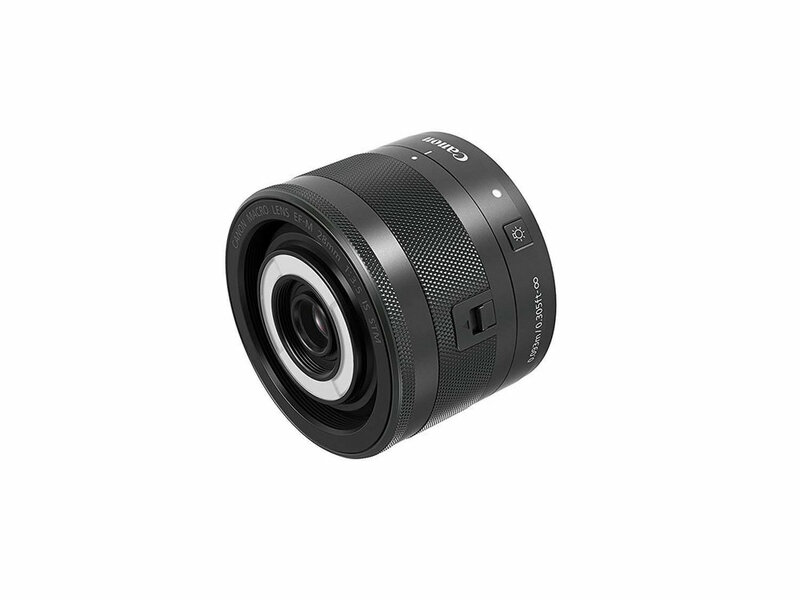 Note that this is an EF-M lens and will only work on the EOS-M cameras (EOS-M1, M2, M3) and not a DSLR. Included in the box are the lens, a lens-cap (EF-M28) and a lens hood. Unlike most lenses, Canon included a "free" lens hood with this one as it's required to use the hood to get a screw-in filter mount. No bag/storage is included with the lens, but the LP-811 is recommended. The lens itself has 2 buttons on it: A light and a "release" lever. When the lens is attached and the camera is turned on, you'll need to hold the release lever and select either "Normal/Macro" or "Super Macro" to be able to take photos. The default position will not allow you to take photos and is more of a position to store the lens. Selecting the normal mode allows typical autofocus as well as "Macro" mode (up to 1x magnification). Selecting Super Macro allows up to 1.2x magnification off the subject, but does not allow normal focusing distances (it only focuses at a very close-up macro level). I found Autofocus to work fairly well (always tricky at such close magnifications) but was a bit disappointed that you need to use the menus to select either AF or MF. I wasn't able to get the AF+MF option to allow for both auto and manual focus and there is no switch on the lens itself. The stabilizer works very nicely and is a great option to have when dealing with such close-up levels. The LED additional is actually really great. When pressing the Light button on the lens, small LEDs on the left/right of the lens will turn on, allowing you to get clear shots of objects up-close. The default is for both LEDs to be on at bright mode, clicking it again will turn it to a dim mode, you can also toggle each light on/off or bright/dim, so if you only want the left LED on, you can do that. When focusing up-close, this LED comes in handy a lot as you otherwise wouldn't be able to light a subject. Great addition here! The lens itself has no filter threading. If you want to add a filter (43mm thread) you can attach the included Hood to the lens.. note that doing this WILL block the LED's and render them useless. You'll need to decide if you want the filter threading or the LED. This is a bit disappointing. One other piece of information to note is that this is a fixed 28mm lens, which is pretty wide for a macro. You need to be in VERY close (the minimum focusing distance is probably under 1 inch from the front of the lens) meaning that for live-animals this might be too close.. for any other subjects, you should be Ok. The fixed lens also has a widest aperture of f3.5 which isn't bad.. for most macro work you'll probably end up bumping that to f8. I found the LED light helped in all situations but did require you to be VERY close. This will not light anything more than a few inches from the lens. Detail was very high, you can see many small details that would otherwise go un-noticed by the human eye, and even at a wide aperture it's very sharp. I did not notice any fringing even on high contrast subjects up-close. Overall this is a great additional to the EF-M system. The lens has a lot of features, included some never seen on other lenses in the past. The compact size and low price make it even better, but the short focusing distance may turn some away. 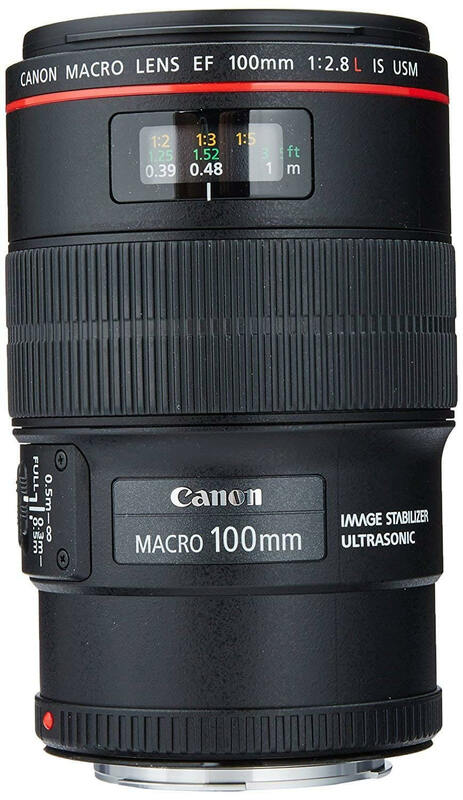 The fact it can be used as a normal lens as well as a macro (and super macro) may make it much more useful to some people, but those wanting to shoot live subjects may want to look into a lens such as a 100 or 150mm macro.